Tuotantoalue: Luomutarhat Préhyn kylän kupeessa Chablis'ssa. Mineraalipitoinen kalkkikivimaaperä, jossa savea ja merenelävien fossiileja. Valmistus: Käyminen terästankeissa ja 9–11 kuukauden terästankkikypsytys. Tuottaja: Jean-Marc Brocard aloitti viinituotannon vuonna 1973 perittyään pienen tilan läheltä Préhyn kylää. Tällä hetkellä viinitalo omistaa n. 150 tarhahehtaaria. Brocard otti luomumenetelmät käyttöön vuonna 1997. Jean-Marc acknowledges a considerable debt to one of the old vignerons of St-Cyr les Colons, a man Louis Petit, who despite the name is unrelated to his father-in-law. The oldest vines of the Domaine Sainte Claire came from Louis Petit and it was he who gave to Jean-Marc the sense of tradition and a respect for nature, showing him that you can still maintain the old traditions, while practicing modern methods. Born and bred, devoted to the land and it's characterful wines. A Vine grower, Jean-Marc is a specialist in the different wines of Chablis and its surrounding region. Brocard and his assistant wine maker pay close attention to the different characteristics of the various vineyards within the estate. Different cuvées of Chablis are labeled to the astrological sign at the time of bottling. Committed also to Eco-friendly viticulture, Julien Brocard, Jean-Marc's son, develop the Biodynamic culture. The company exports 60% of its produce mainly to the UK, Norway, Sweden, Germany, Japan and the USA. Jean-Marc says "The truth of wine lies in the soil where it has grown. The technique is an important factor in the wine growing, but it is only an aid, the wine is essentially the product of its soil." also " The soil of Chablis is exceptional and cannot be found anywhere in the world ; therefore I am a hard believer of the future of Chablis even for the next Millennium." Whatever the appellation (Petit Chablis, Chablis, Chablis Premier Cru or Chablis Grand Cru), our wines are produced using the most modern techniques in cellars built between 1980 and now. However, we scrupulously respect the land and the traditions of this ancient vineyard. Over the years, he's built one of Chablis' leading wineries. The winery is equipped with numerous stainless steel tanks of many sizes (no oak is used at all) and is located near a 13th century church dedicated to Sainte-Claire. 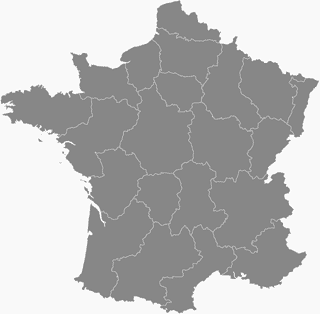 Chablis is the most northerly of Burgundy's appellations, closer to Champagne than to the Côte d'Or. Winters tend to be cold and spring frost is a real threat as late as May. Summers, however, are warm with cool nights, ideal conditions for maturation and the development of aromas in the grapes. Chablis on Burgundin alueen kuuluisa teräksisen mineraalinen Chardonnay-valkoviini, joka on aromeiltaan hillitty ja elegantti. Tämä on alueen parhaita edustajia Alkossa. Täydet pisteet.